For families heading to the snow, dressing ski kids is unfortunately an expensive necessity. Whether you borrow, hire or buy kids ski clothing, make sure you have the right ski gear to keep kids warm and comfortable in the snow. Skiing with kids is a costly exercise, particularly as they outgrow their gear quickly. Be wary of spending a fortune on ski gear if it’s your first trip to the snow. You may discover it isn’t their thing. If you’re lucky enough to have family or friends with ski clothing that fits your kids, then borrowing is the cheapest way to dress your kids for the slopes. As kids grow out of their clothes so quickly you can find good quality ski clothing second hand. Check out eBay listings, local classifieds such as Gumtree or Craigslist, market stalls and snow forums for listings. Snow rental places also have annual sales of ex-ski rentals and discounted ski clothing. Join mailing lists to get sale dates. Hiring kids ski gear for a small amount of time can work out much cheaper for the entire family, especially if it’s your first time in the snow or don’t plan to make skiing a regular occurrence. There are ski equipment rental and online ski gear stores that not only hire skis, boots and poles but also ski clothing. Rates vary so shop around, Australian ski retailer Snow Central offers international hire with premium jackets and pants suitable for Northern Hemisphere skiing. Averaging $80 for up to 10 days hire. Also, check out places such as Rebel Sport or local sporting retailers that may hire kids ski clothing off-mountain. Hiring on mountain is an easy solution, although it may cost a little extra for the convenience of not having to pack and travel with bulky ski clothing. Towards the end of the ski season both online and in store retailers will be marking down their stock. If you know you are heading off to the snow next season, stock up for the trip. Just be sure to review the measurements and accommodate for a growing child by getting a size or two up. 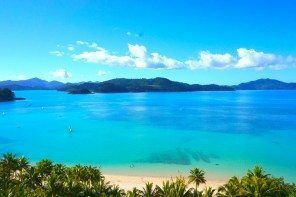 For Aussies, check out online retailers in the Northern Hemisphere towards the end of their ski season in April and May. Sometimes it’s worth paying the high postage for the incredible savings. Similarly for Northern Hemisphere dwellers, Aussie and Kiwi Gear go on sale around September to November. It’s tricky to find affordable ski gear out of season. If you are heading to the Northern Hemisphere, consider purchasing your ski gear en-route to your ski destination. Though, ski clothing at the resorts can be more expensive, the city hubs closest to the ski resorts have retailers selling ski gear at lower prices. Purchasing the kids ski clothing en-route can be a tricky task, as it involves research, time and planning. You may run the risk of not finding the right size or item. However if you can manage it and up for the challenge, you may find a bargain or at least a better variety and the latest styles. There is an added advantage of traveling lighter for half your trip. Unlike Australia, the sport of skiing is more accessible for families in European and North American countries, therefore clothing is less expensive and easier to purchase. With higher volumes and more competition a bargain can be found, especially if you are heading to countries where your local currency is stronger. For Aussies ski gear is generally cheaper in Eastern Europe, Russia and South America. Even in places such as Japan where the exchange rate is less favourable, with careful research and knowing where to shop you can bag some quality gear at affordable prices. 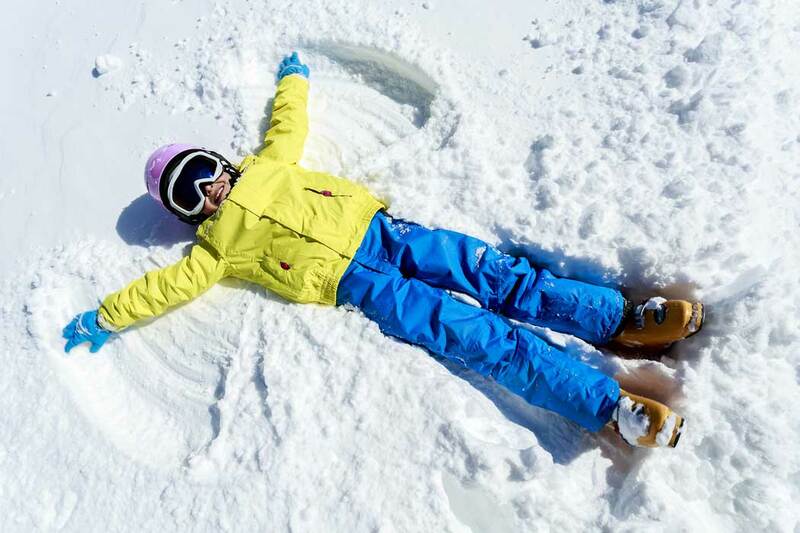 Buy kids ski clothing en-route before hitting the slopes. Not all ski clothing needs to be purchased from premium ski retailers. Shop with a bit of savvy and you can pick up most of your three essential layers at large chain stores. Australian Aldi sells affordable ski clothes including a kids range with jackets, thermals and snow pants around April each year. Pick up Marino Wool thermals, socks and beanies from Big W, Target and Kmart when in season. For those with membership to Costco another way to save money on kids ski clothing is to purchase seasonal winter and ski clothing including jackets, pants and fleeces at Costco. For those lucky to have a H&M, Gymboree or GAP nearby, these retailers have their own in-house ski clothing labels which are medium range in terms of quality and price. Check out Gymboree or GAP kids online as they also ship internationally and offer a bigger selection direct from the USA. Keep an eye on sales at outdoor stores such as Kathmandu. Even though they are a speciality store, they often offer big discounts to clear their out of season stock with quality base layers, fleeces and outerwear as well as gloves, neck gaiters and hats. Checking out their online sale in December, there were toddler onesies and fleeces for 50% off. 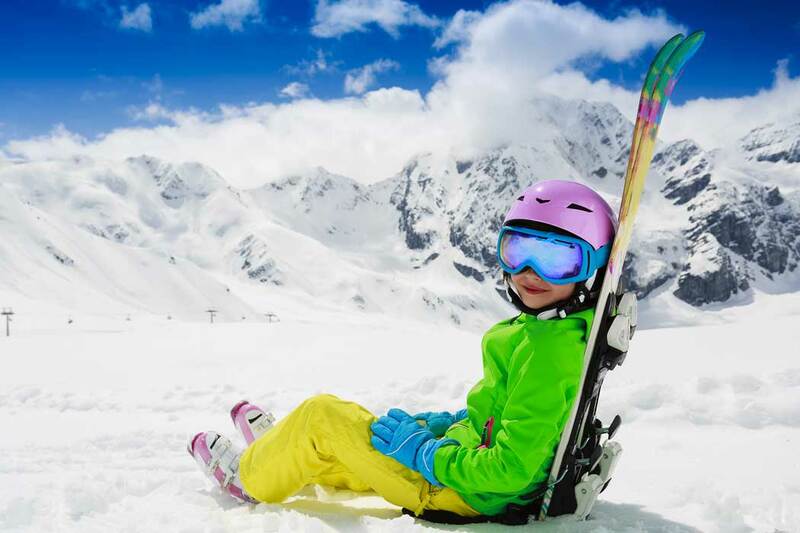 Another great way to save money on kids ski clothing is shop at the factory outlets such as DFO or Trade Secret, when it’s just out of season you may find all sorts of kids clothing items suitable for a snow holiday. 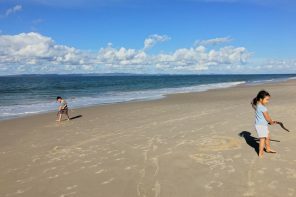 Look in surf shops such as Billabong and Oakley as well as sporting goods stores such as Nike or Adidas as they may stock a kids winter sporting line. Other outlets including kids retailer Cotton On Kids, Pumpkin Patch and Osh Kosh labels where you can find quality cheap winter items such as hats, jackets, pants and socks. The online shopping mecca of Ali Express is quite often hit and miss in terms of quality and delivery time frames. However they do offer kids ski gear that is easy on the hip pocket, stocking complete and stylish ski sets from $50 US including delivery. If you are willing to make the gamble, read reviews carefully, double check sizes and delivery lead times. Other ski items include: goggles, mittens, beanies, socks and even snow boots. You can pick up affordable hats, mittens, socks, snow boots and occasionally some wool blend thermals from Marks and Sparks. They also stock a Thinsulate Hooded “Tehnical Jacket” that is water resistant with Thinsulate technology which could be sufficient for skiing in mild conditions when coupled with a warm base and mid layer. They also ship internationally to Australia. Tesco has an F&F clothing line that covers all layers for skiing with kids. From ski mittens, hats, socks, thermals, jackets, pants and fleeces at very affordable prices. They also ship internationally to Australia. For the USA, keep an eye out on clearance sales, end of year sales and the infamous Black Friday and Cyber Monday sales for huge discounts. Join mailing lists to have coupons and discounts emailed to you or search the web for promo codes, which offer considerable savings. During sales, there can be amazing discounts offered at specialty stores such as North Face or REI as well as the major retail chains such as America’s Walmart, Kmart, Target, Costco and Sam’s Club, whom stock seasonal kids ski clothing. Check for significant mark downs at large department stores of Macy’s, Khols, Sears, Dillards, JCPenney and Nordstrom Rack (Nordstrom’s clearance outlet). Factory outlets in America offer plenty of bargains which you may not be able to get online but requires a willingness to scour for a great deal. Although some stores do not ship internationally, it may work out if you have friends living in the States to post for you. Another way to save money on kids clothing is to shop in the USA and use an intermediary site such as www.ipsparcel.com or www.orderfromtheusa.com where the retailer ships to a USA address and then for a fee forwards the parcel to your Australian address. 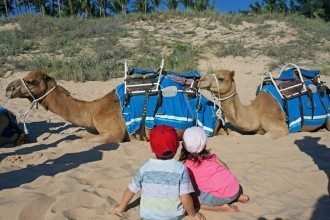 The budget clothing retailer stocks great sport performance base layers, ski socks, beanies, mittens, scarves and fleeces for toddlers, boys and girls. They also ship internationally to Australia. The Children’s Place offers excellent priced winter gear for kids aged new born to 14 years. With their own ski line ranging from ski mittens, beanies, overalls, jackets, pants, fleeces, 3 in 1 jackets and snow boots. They also ship internationally to Australia. There are many specialist online ski retailers in Europe that provide great discounts towards the end of the ski season. Check out sites such as Sport Conrad and Snow Inn. As these are specialist ski stores with premium brands. Although their discounted stock is a little more expensive than your budget retailers. It’s worth a mention when looking for quality ski gear at good prices such as ski jackets, neck gaiters and comfortable ski socks. Please read my post Dressing ski kids, what to wear for family snow travel for more information on the three essential layers for skiing with kids. The large sports chain Decathlon in France stocks affordable ski clothing including ski jackets, pants, mittens and fleeces. 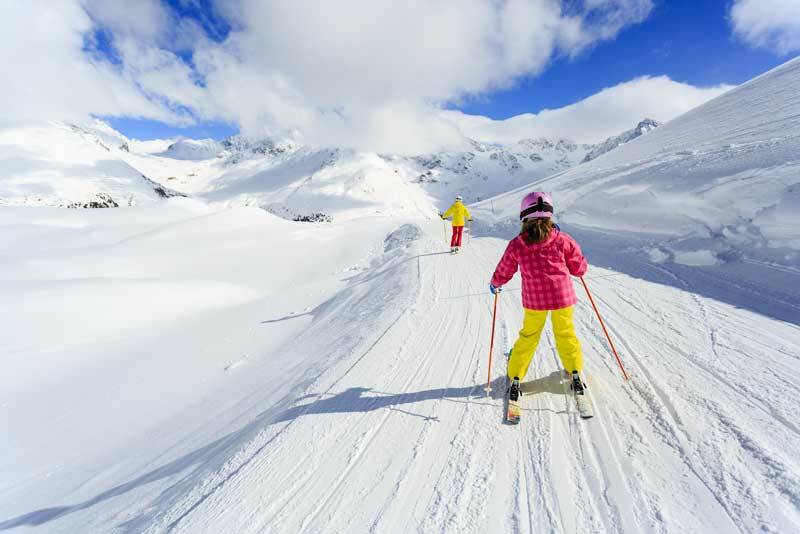 For more details on family snow travel, check out The best tips for skiing with kids. 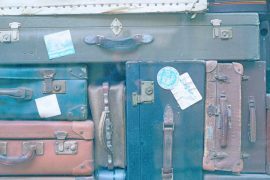 Hard or Soft Luggage – which suitcase is best for travel? That’s a nice set of tips and globally very comprehensive too. I love the recommended retailers advice. Skiing often scares people off since it can be so expensive. Like anything shopping around for hire or purchase can make a valuable difference.